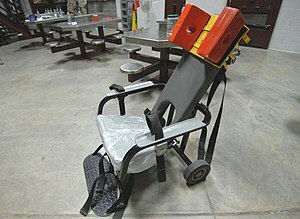 In a disturbing report in the Miami Herald, the ever-vigilant Carol Rosenberg reports that an unknown number of hunger strikers at Guantánamo are being force-fed between dusk and dawn — a mixture of cruelty (force-feeding) and respect (for Ramadan) that is sadly typical of the surreal, otherworldly reality of Guantánamo, over eight and a half years after the prison first opened. More realistic was what the Pentagon described as the cost of catering for the prisoners’ “cultural and dietary needs,” which it estimated at approximately $3 million a year. Such an insane amount of money would be better spent on releasing prisoners and closing the prison, as President Obama promised, rather than attempting to maintain a veneer of respectability that fails to disguise the mental anguish that clings to Guantánamo like a malevolent fog, and that will not be lifted until the prison finally closes. Please spare a thought for the hunger strikers at Guantánamo — and the rest of their fellow prisoners — at this particularly difficult time. Andy Worthington is the author of The Guantánamo Files: The Stories of the 774 Detainees in America’s Illegal Prison (published by Pluto Press, distributed by Macmillan in the US, and available from Amazon — click on the following for the USand the UK). To receive new articles in your inbox, please subscribe to my RSS feed(and I can also be found on Facebook and Twitter). Also see my definitive Guantánamo prisoner list, updated in January 2010, details about the new documentary film, “Outside the Law: Stories from Guantánamo” (co-directed by Polly Nash and Andy Worthington, and launched in October 2009), and, if you appreciate my work, feel free to make a donation. This entry was posted in All Posts News Politics and-or Videos, Dandelion Salad Featured Writers, Gitmo, Human Rights, Torture, Torture on Dandelion Salad and tagged Andy Worthington, Human Rights on Dandelion Salad, Ramadan, Rosenberg-Carol, Worthington-Andy. Bookmark the permalink. The abuse and travesty of justice continues!